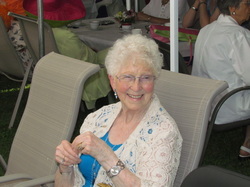 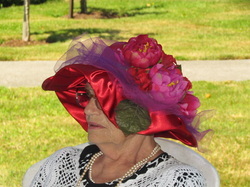 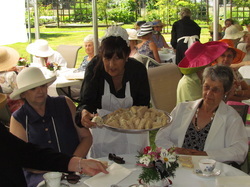 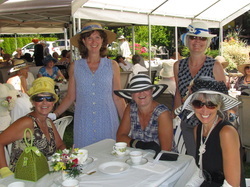 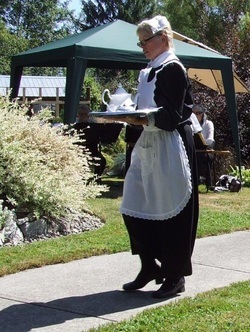 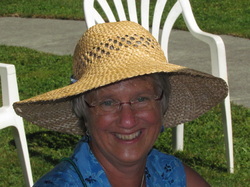 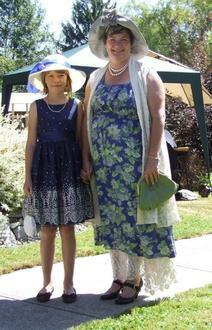 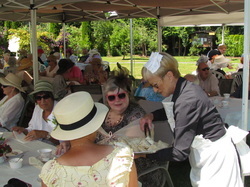 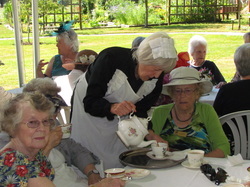 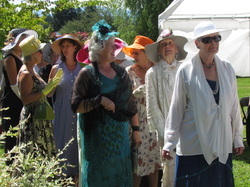 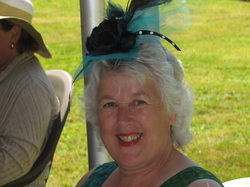 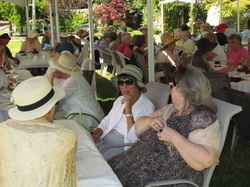 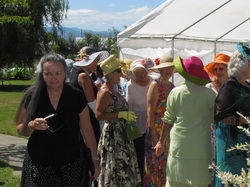 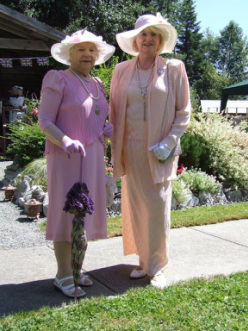 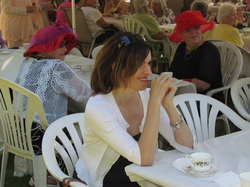 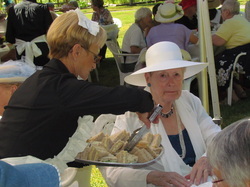 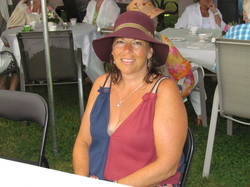 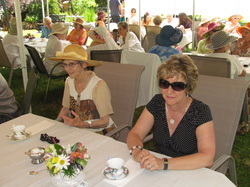 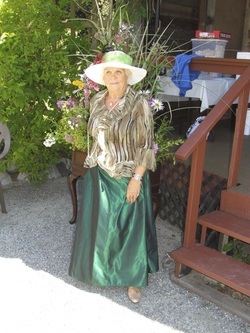 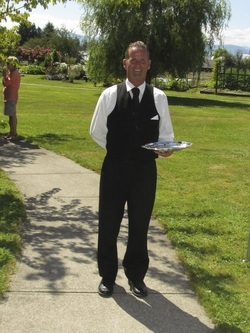 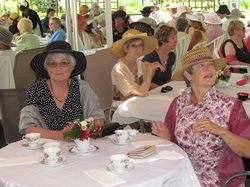 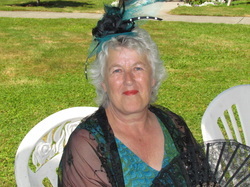 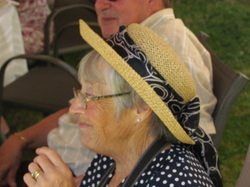 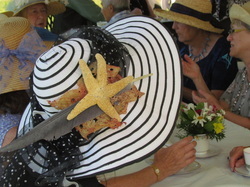 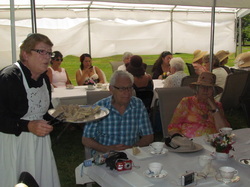 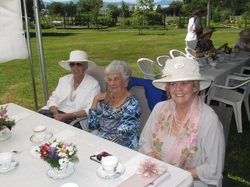 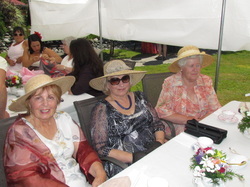 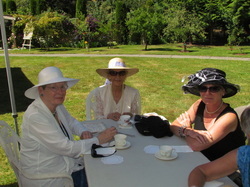 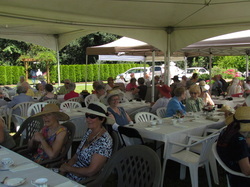 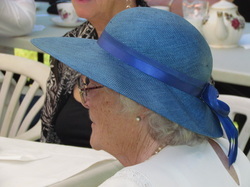 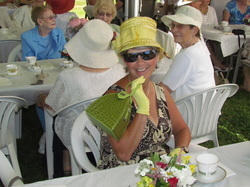 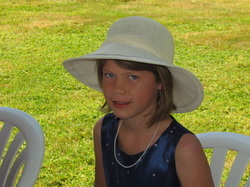 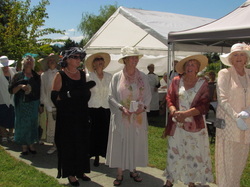 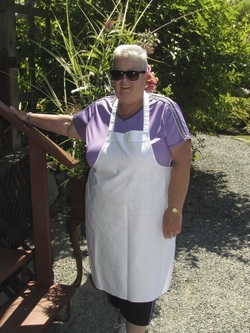 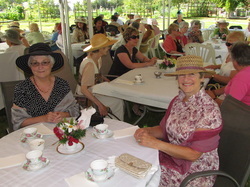 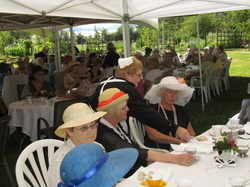 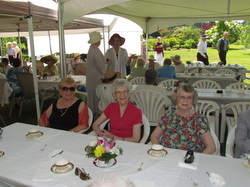 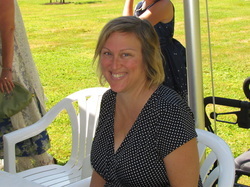 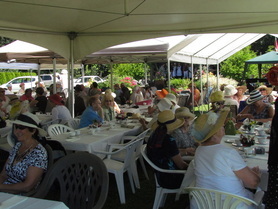 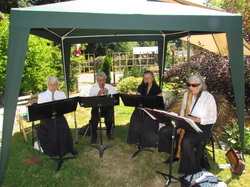 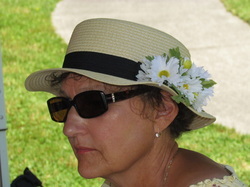 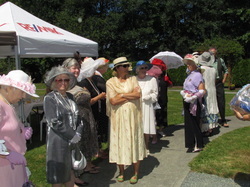 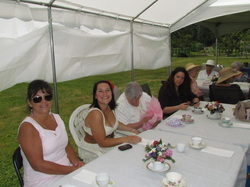 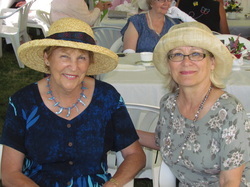 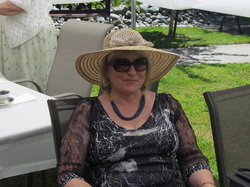 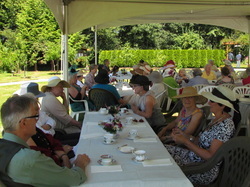 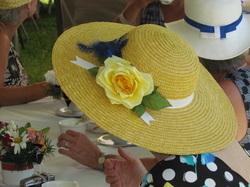 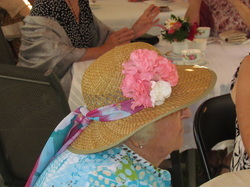 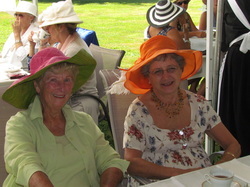 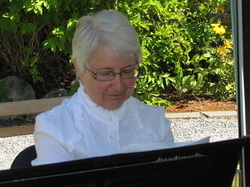 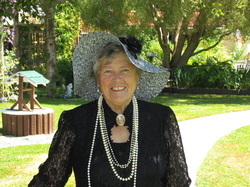 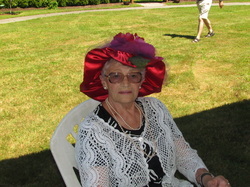 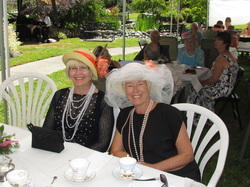 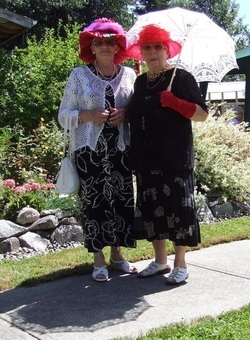 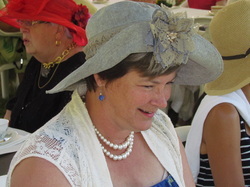 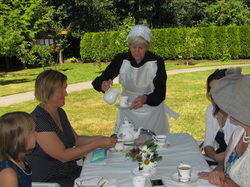 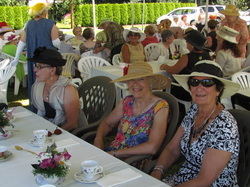 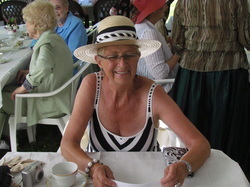 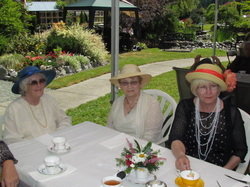 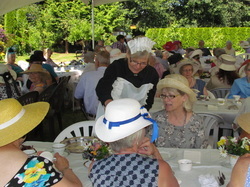 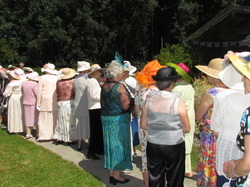 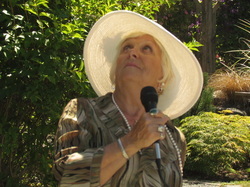 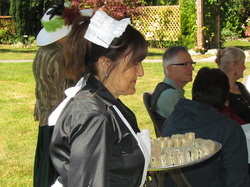 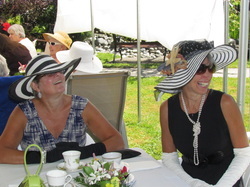 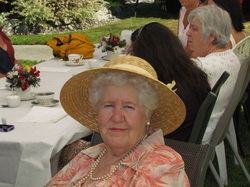 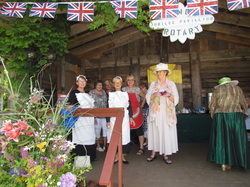 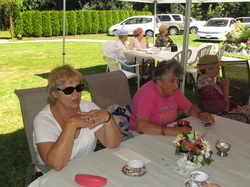 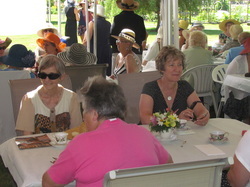 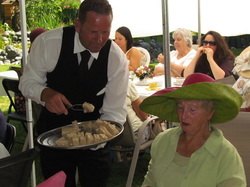 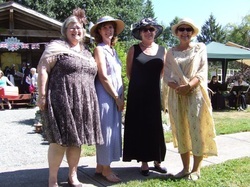 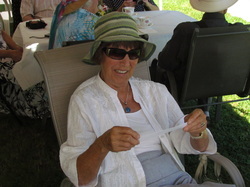 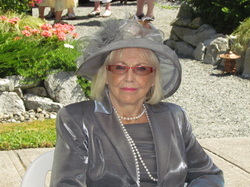 All of the photographs taken at the Downton Abbey Tea 2013 are to be found below. 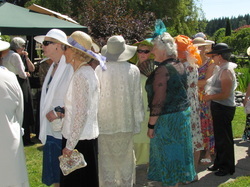 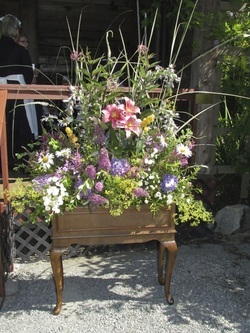 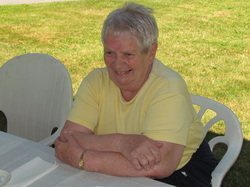 There are many to look at but be assured if your photograph was taken it is somewhere in the collection. 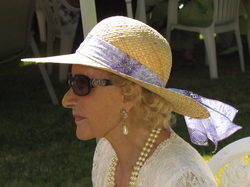 Please feel free to download any image you are interested in and make a print. 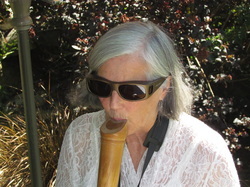 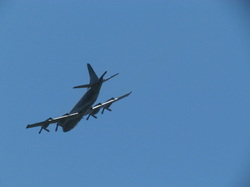 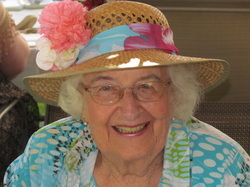 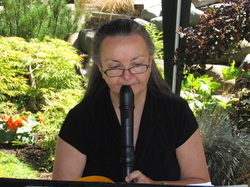 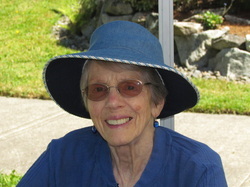 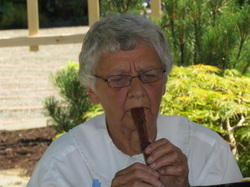 Right Click on the larger version image to save. 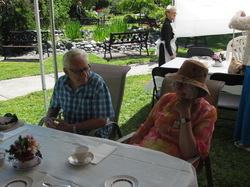 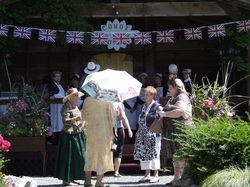 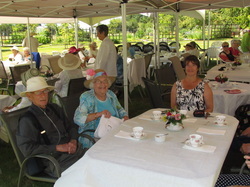 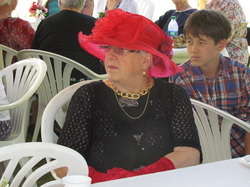 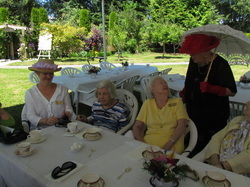 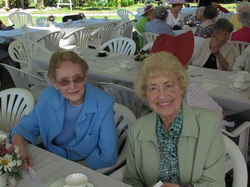 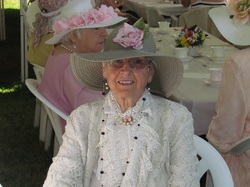 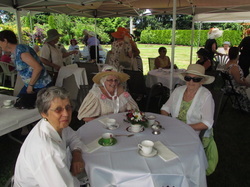 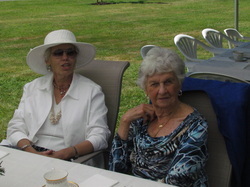 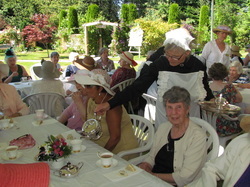 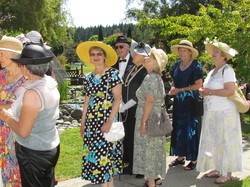 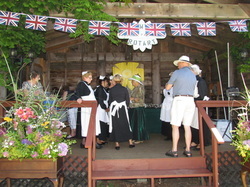 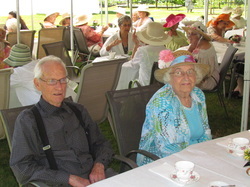 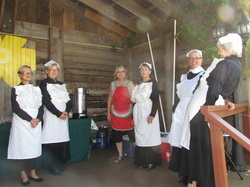 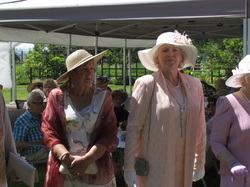 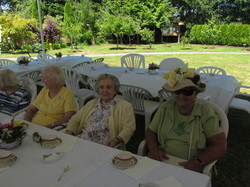 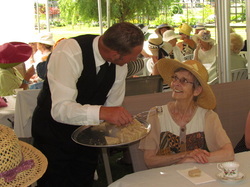 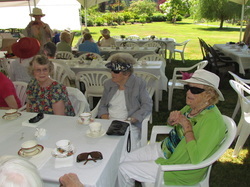 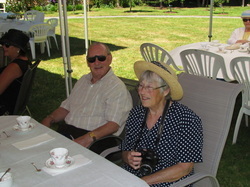 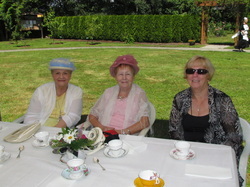 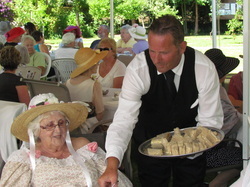 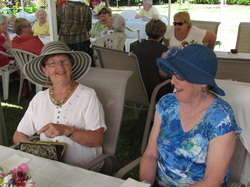 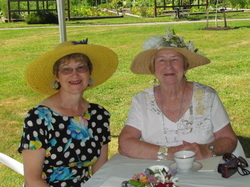 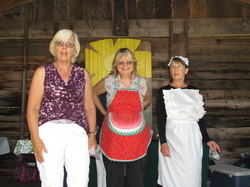 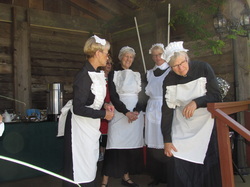 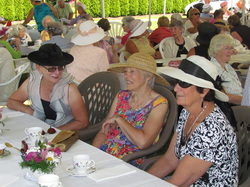 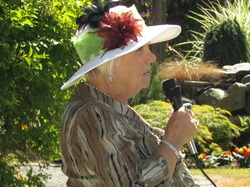 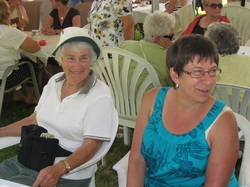 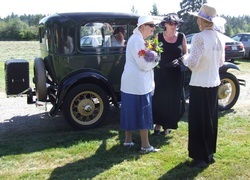 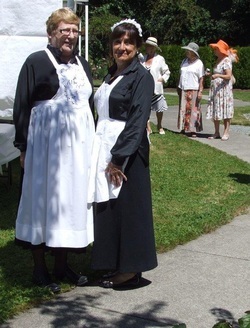 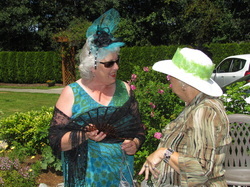 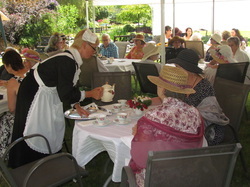 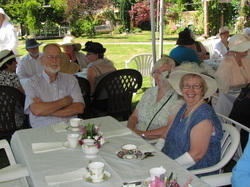 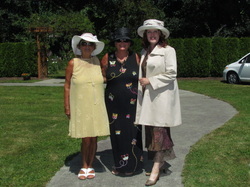 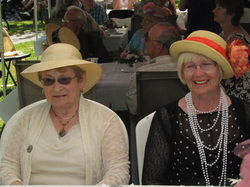 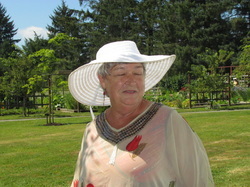 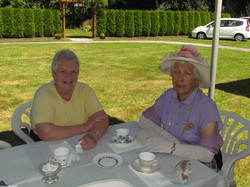 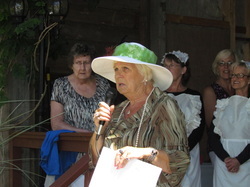 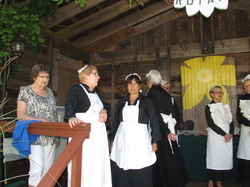 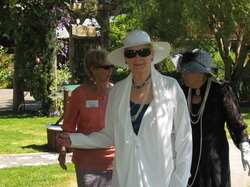 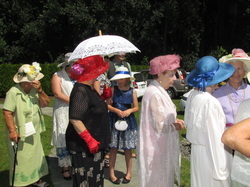 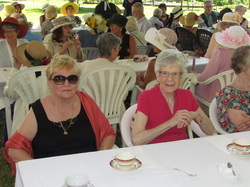 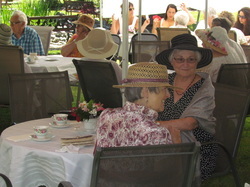 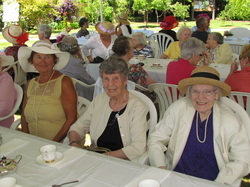 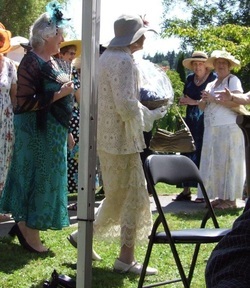 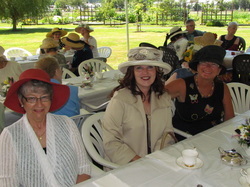 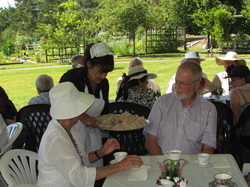 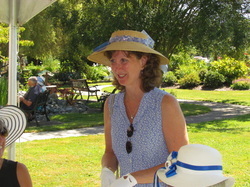 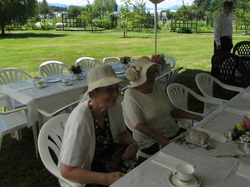 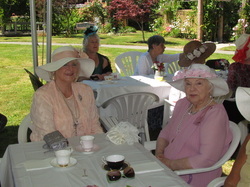 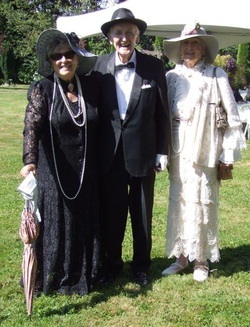 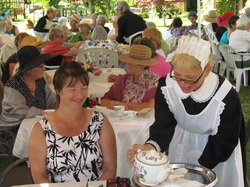 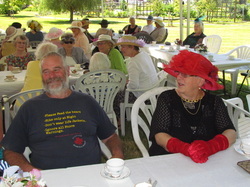 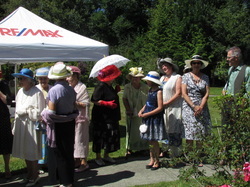 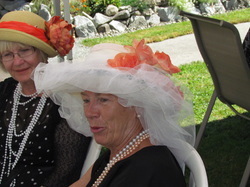 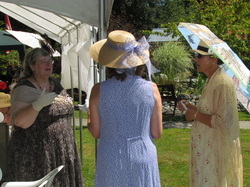 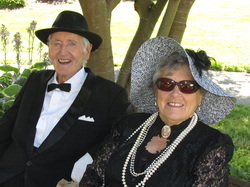 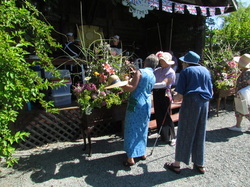 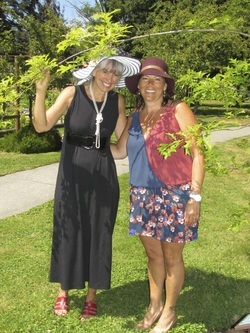 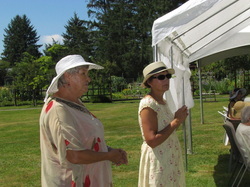 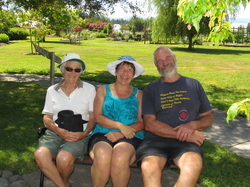 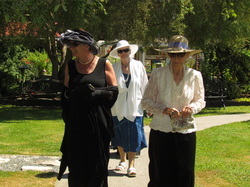 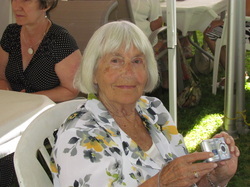 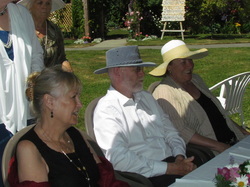 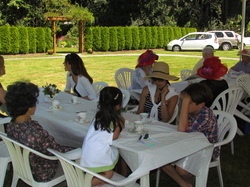 This final photograph shows Joy and Bill Georgeson, who co-founded the Gardens, with the Ladies' Period Costume Winner.